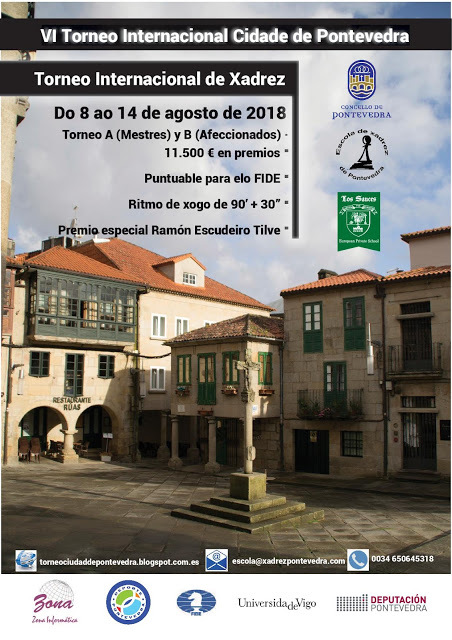 The tournament will take place in the sports facilities of the Los Sauces School in Pontevedra, located on the Carretera de Campaño to Cabaleiro S / N, just 9 minutes from the center of Pontevedra. The dates chosen are between the 8th and the 14th of August of the year 2,018, doubling rounds on Friday and Sunday, to complete the total of 9 rounds, with a rhythm of 90 minutes + 30 seconds per play. The A (Master) tournament will be valid to obtain International Standards. In addition, we will value again with a great trophy, the player who has analyzed the best attack game of the tournament, all in tribute to our great Ramoncito. 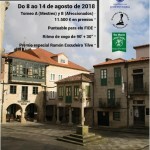 The player wearing the Ramón Escudeiro Tilve trophy will be appointed by a jury expressly appointed by the organization.